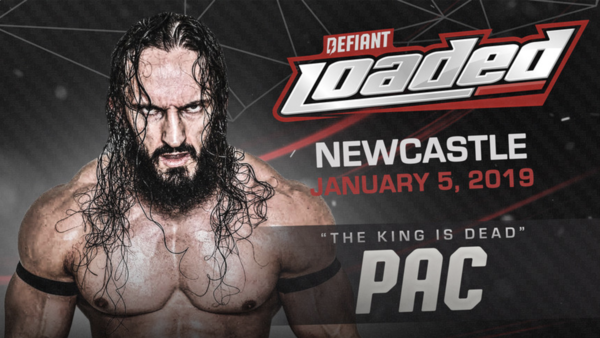 Fresh off a buzz-worthy return to his old Dragon Gate home in October, PAC is set for another big homecoming in 2019, as he's set to compete at Defiant Wrestling's Loaded tapings in Newcastle, England on 5 January and 16 February. 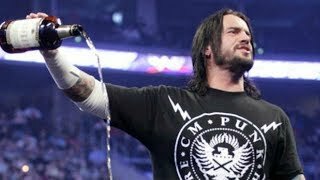 The announcement came during Wednesday's Refuse To Lose pay-per-view, and it'll be the first time the former Neville has wrestled an independent match in his hometown since April 2009. As well as debuting for Defiant, PAC has been announced for appearances with RevPro, Ireland's OTT, and Big League Wrestling later this year. He recently defeated the high-flying Flamita at Dragon Gate's Gate Of Destiny pay-per-view, and will now challenge for the promotion's top prize (the creatively-named Open The Dream Gate title) at Final Gate on 4 December. This won't be PAC's first UK appearance since leaving WWE (BLW hold that honour), but the hometown pop is going to be immense, no matter who he faces. For more information on PAC's homecoming, the 2019 Loaded tapings, and Defiant Wrestling in general, head over to WeAreDefiant.com.